Why do you need a professional intervention? It is easy right? You pick out a treatment center and plead your case to your loved one that has an addiction problem. You send them to treatment and hope for the best. Upon your loved one’s return, what happens? Are you prepared to face a relapse? Do you know how to handle your loved one when they return from treatment? Many people make the mistake of thinking that the addict is the one who needs to change their behavior, while this is true, everyone in the family and environment needs to change. 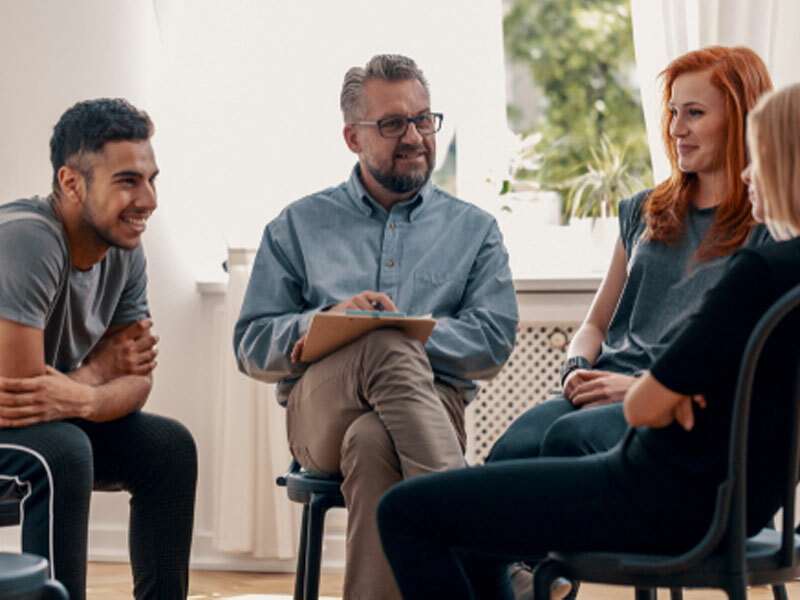 By booking a professional intervention, you and your family will be educated and trained on how to adjust your behavior towards your loved one with an addiction problem. Along with the education and training, you are also receiving lifetime support from both your counselor and interventionist. 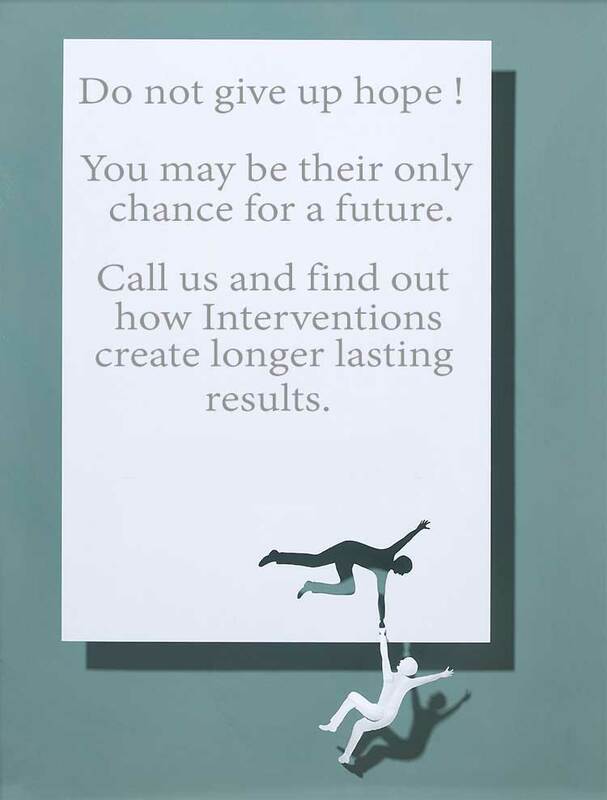 When you book an intervention with Intervention Services, you are taking the steps to procure long term results. What do long term results mean? Long term results mean that when your loved one returns home they are not immediately returning back to their old way of life and habits. If your loved one returns home and resorts back to their same behaviors and you and your family are not trained on how to deal with these behaviors, he or she will most likely relapse right after treatment. By letting Intervention Services come up with a personalized game plan for you and your family, you are helping your loved one with an addiction problem. How will this personalized game plan help your loved one? By having our professional interventionist come to your house, they will take the time to get to know you, your family, and the addict they are intervening on. This process will help in supplying the right tools and education for your loved one’s long term recovery. Our interventionists and counselors take pride in their work and mark every successful intervention as saving someone’s life. When you look at an intervention as saving your loved one’s life, it makes the intervention more meaningful and positive. That is what our interventionists bring to the table. They will stop at nothing to ensure they are saving your loved one’s life. Our counselors also play a huge part in securing your loved one’s long term results in recovery. Our counselors work with treatment center all across the country. They will work with you and your family to find the right treatment center to fix the needs of your loved one. By selecting a treatment center that fits with the personality of the addict, you are helping to lay the ground work for positive, long term results for his or her recovery. Our counselors will find the perfect fit for your loved one. Working with treatment centers across the country helps to ensure that we are placing your loved one in a safe and successful environment that is conducive to securing a healthy recovery process. At the end of the day, no one can force your loved one to enter treatment and follow a stable path of recovery. Intervention Services helps to stress the severity of entering treatment without feeling like the addict is being forced into agreeing to something they do not want to do. Ultimately, by using a forceful and demanding approach, you will not get the long term results you are looking for. You probably will not even get the addict to attend a treatment program by being aggressive and forcing them to do something they do not want to do. Our interventionists walk a fine line in being convincing, but not being forceful in their tactics. We have helped hundreds of thousands of families. Our interventionists and counselors have heard every excuse or strategy to avoid entering treatment. These interventionists have also seen just about every crazy scenario you can think of. Having seasoned interventionist like this will help to keep the intervention on track and at the right pace. Addicts will throw every excuse at their family member as to why they cannot leave for treatment. They might say they cannot leave because they do not want to leave their children unattended. They may say they cannot leave work for that long without getting fired. They may say they do not need to enter treatment, because they can get their life together on their own, stating that they can stop their addictive behavior at any time. They may also try to play the false hope route, by saying they have a job interview next week and therefore cannot commit to a treatment center at this given time. Our interventionists have an answer for every excuse the addict will throw out. You do not want to leave your children? – In your current state, you are not there for them anyways. Even worse, if you are engaging in illegal activities, your children can be taken from you at any moment. You are afraid of getting fired from work due to being gone for treatment? – Addiction is seen as a disease and is therefore listed under disability. Your employer cannot fire you, due to taking a leave of absence, to treat your disability. You can stop your addictive behavior at any time by yourself? – Then why haven’t you? If your behavior has gotten bad enough for your family to stage an intervention, there is an issue. The recovery process is all about building a support system they can rely on. It is very hard to beat addiction on your own. We will help them and you and your family.